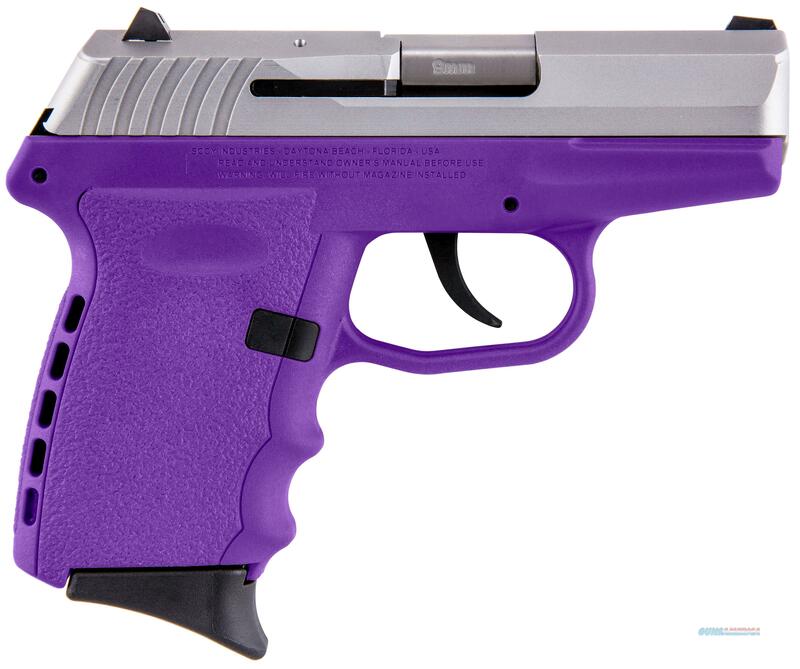 Description: Action: DAO - Caliber: 9mm - Capacity: 10 - Finish: Grey/Purple - Barrel Length: 3.1 - Overall Length: 5.7 - Weight: 15 oz - Barrel: machined from bar stock with 7 lands and grooves having a 16-1 right hand twist. - Receiver: 7075-T6 aircraft grade heat treated aluminum alloy machined from bar stock. - Grip/Frame: Made from Zytel polymer with ergonomic finger grooves and an integral RE-COIL CUSHION on the back-strap. - Recoil Spring System: all steel fully encapsulated for ease of disassembly and reassembly. - Slide Lock/Release: steel with a Zytel over molded polymer extension for ease of operation. -3 dot sight system: steel rear sight adjustable for windage only with locking screw. - Hammer firing system: double action only internal hammer with inertial firing pin to prevent accidental discharge if dropped. - Double action trigger: specifically designed for shooter comfort and accuracy by designing the system to have a smooth effortless consistent 9 pound trigger pull. - Magazine: included with (2) double stack 10 round capacity magazines with finger extension base installed and 2 flat magazine bases included. - Trigger Guard Lock: custom designed to properly fit and be child resistant. Includes 2 keys.